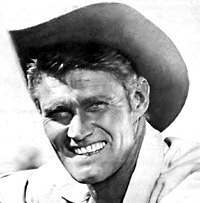 Lucas McCain (Chuck Connors) was a widowed rancher living outside of North Fork, New Mexico and trying to raise his young son, Mark (Johnny Crawford). Although how he had time to ranch is a mystery as he was always in town confronting a desperado. McCain’s specialty was his skill with his rifle, a specially modified Winchester with a large ring that cocked it as he drew. Supposedly, he could fire within 3/10 of a second. Now that’s fast. The first season was the best. In retropsect this series was somewhat darker than other Westerns. As time passed Lucas got a bit preachy. Always moralizing about something. To lighten things up, in 1962 they brought Lou Mallory (Patricia Blair) on board as she worked life’s grey areas a bit. She was a love interest for McCain, who, not to put too fine a point on it, needed a love life. 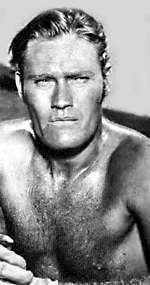 Paul Fix died in 1983 and Chuck Connors in 1992 of lung cancer. 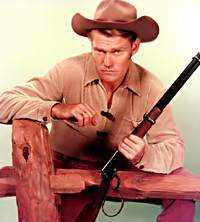 TV Guide’s Rifleman Page, with TV Listings, Photos, Videos, Exclusive News and More. He played 61 games for the Chicago Cubs in 1951. He also played for the NBA Boston Celtics. 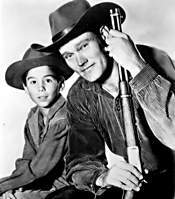 Michael Ansara would play his Law of the Plainsman character of Marshal Sam Buckhart in two Rifleman epsiodes. 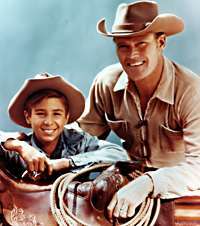 “The Indian” (episode # 1.21) February 17, 1959 and “The Raid” (episode # 1.37) June 9,1959.